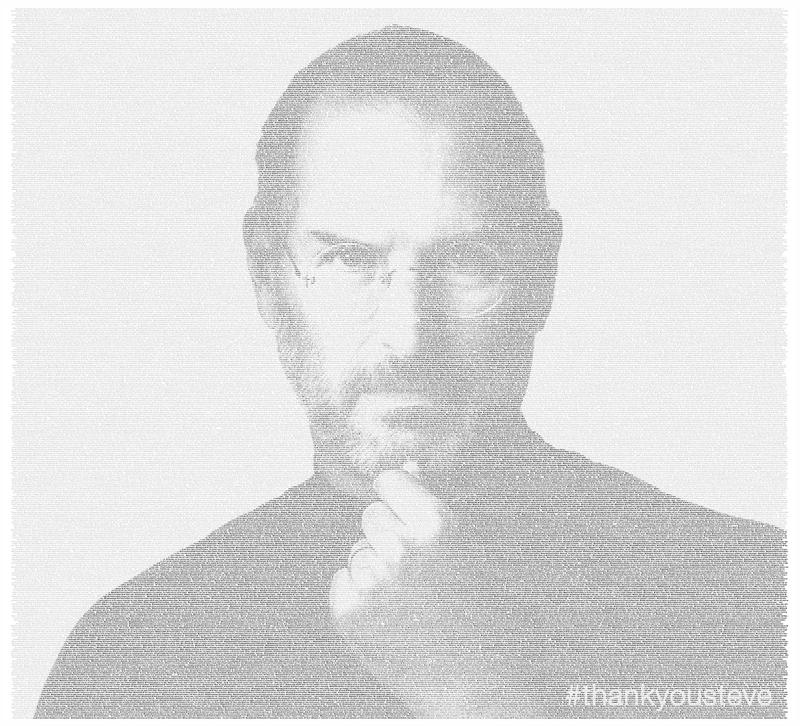 Created by Twitter’s ‘Information design nerd’, Miguel Rios, this poster includes all the public #thankyousteve Tweets sent over about 4.5 hours on the evening of Oct 5, 2011. The Tweets are ordered by number of Retweets, from the top left – view high res here. Arnold Schwarnznegger’s tweet was the most retweeted. If you haven’t had the chance, don’t miss our round up of the most notable photos, videos, quotes and tweets about Steve Jobs from the last 24 hours. Read next: Seriously, why didn't Apple recreate the business card with its new Cards app?